The oldest grape in Alsace, France and the greatest of the German Rhines and Moselles. Dry, fruity and fresh, Riesling is one of the most elegant of the white wine varieties and is arguably the least appreciated white wine grape in the world. The vine as well as the grape is very delicate and requires great finesse from the winemaker. Wines can result in a nose of roses, light fruits and citrus, steely and sometimes a little earthy. Depending on the year, high acidity may require a slightly sweet finish, however truly dry Rieslings can make a big impact. 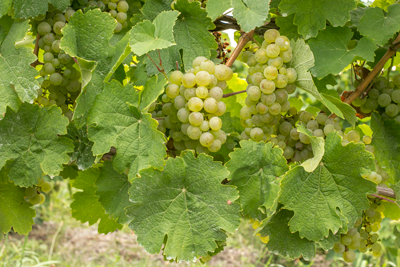 Riesling is quickly becoming the variety that the reputation of the Finger Lakes wineries are being built.